On-board diagnostics (OBD) is an automotive term referring to a vehicle's self-diagnostic and reporting capability. 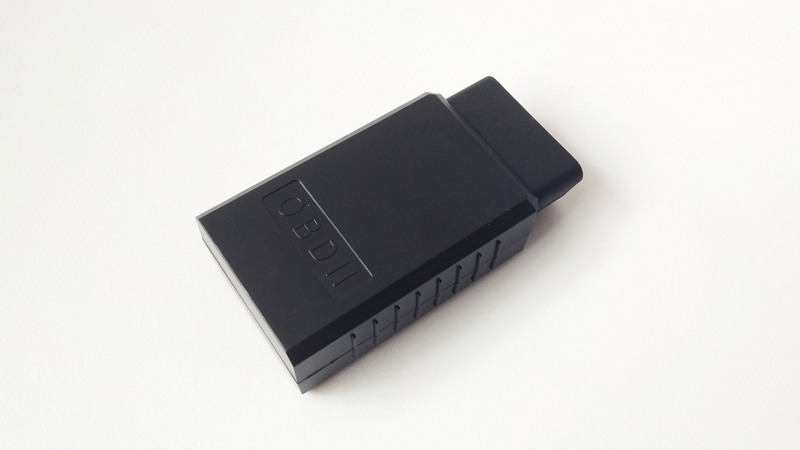 OBD-II is an improvement over OBD-I in both capability and standardization. The OBD-II standard specifies the type of diagnostic connector and its pinout. Provide a stable 5V to the whole system. The master of the entire module, mainly used to store data on the TF card or transfer data to the computer through the type C cable. In addition, since it's arduino compatible, you can use it to implement some simple controls, such as triggering a buzzer alarm when the speed exceeds a certain value. Microchip Technology’s MCP2515 is a stand-alone Controller Area Network (CAN) controller that implements the CAN specification, version 2.0B. 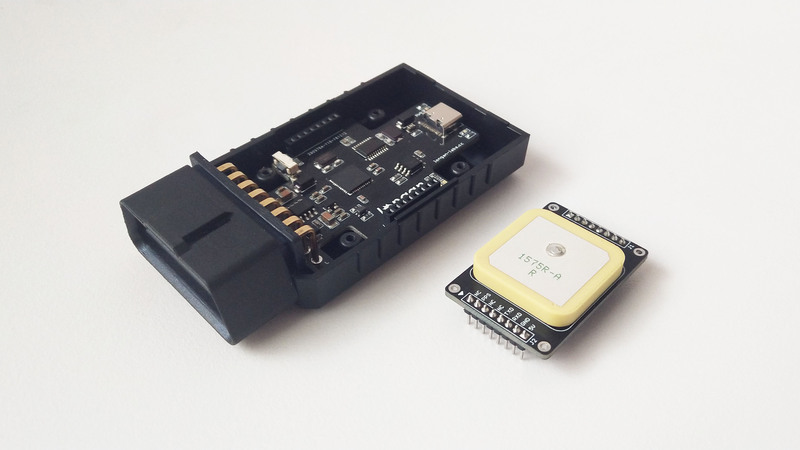 It is capable of transmitting and receiving both standard and extended data and remote frames. The MCP2515 has two acceptance masks and six acceptance filters that are used to filter out unwanted messages, thereby reducing the host MCUs overhead. The MCP2515 interfaces with microcontrollers (MCUs) via an industry standard Serial Peripheral Interface (SPI). High-Speed CAN Transceiver：The MCP2551 is a high-speed CAN, fault-tolerant device that serves as the interface between a CAN protocol controller and the physical bus. Typically, each node in a CAN system must have a device to convert the digital signals generated by a CAN controller to signals suitable for transmission over the bus cabling (differential output). It also provides a buffer between the CAN controller and the high-voltage spikes that can be generated on the CAN bus by outside sources (EMI, ESD, electrical transients, etc.). See the GPS section for specific pin definitions. 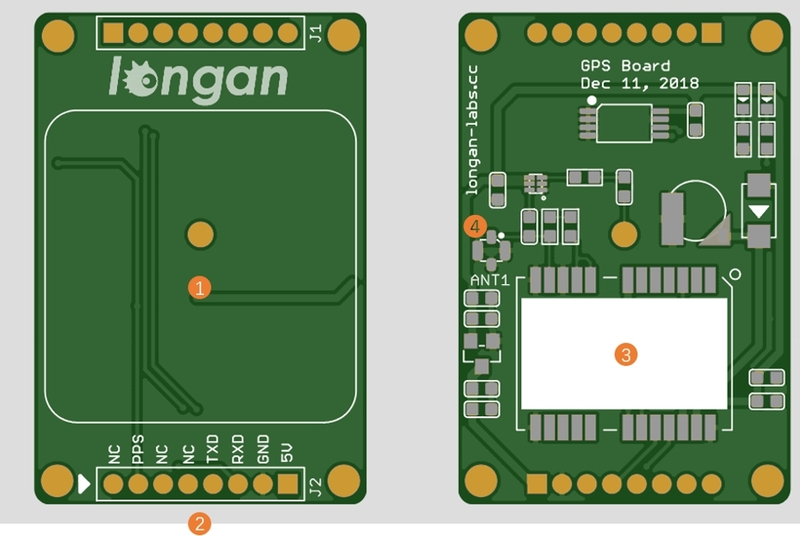 It should be noted that when assembling the GPS module, please align the white triangle on the development board and the module, otherwise the GPS module may be damaged. ISO 11898 requires a cable with a nominal impedance of 120 Ω; therefore, you should use 120 Ω resistors for termination. If you place multiple devices along the cable, only the devices on the ends of the cable need termination resistors. Figure 1 shows an example of how to terminate a high-speed network. 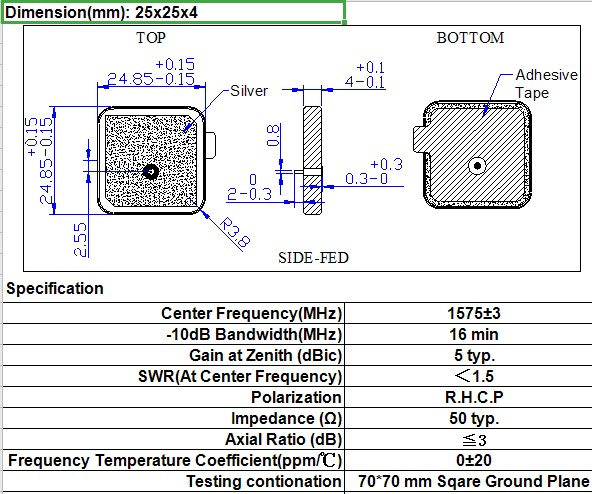 Refer to the GPS datasheet. 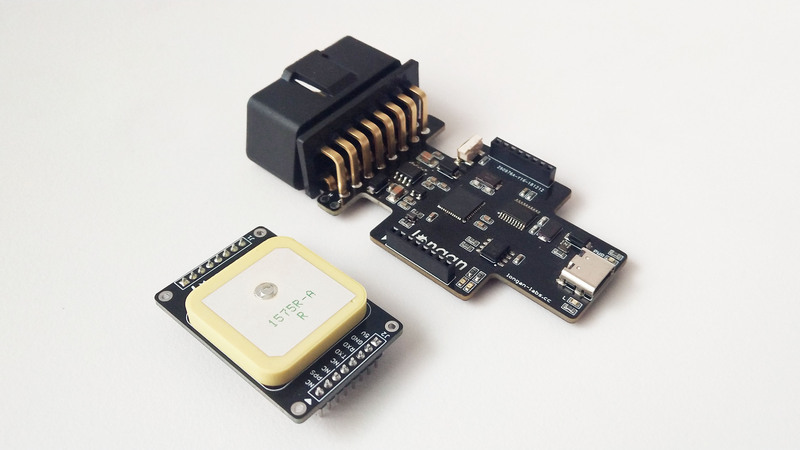 NEO-6 modules are designed for use with passive and active13 antennas. It is assembled when you get the development board. If you disassemble it, you can reassemble it by following the steps. Mount the base board to the bottom housing. Insert the GPS board on the baseboard. When inserting the GPS board, be careful to align the white triangles of the GPS and Base boards. Close the top cover and fix it with screws. 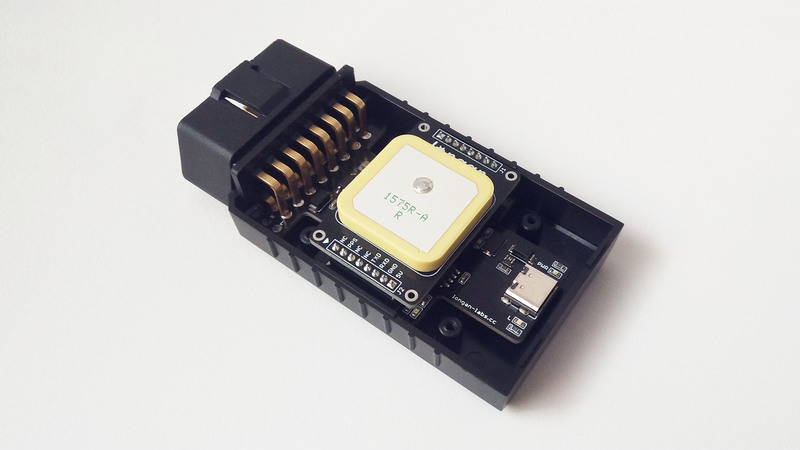 The GPS Module use serial port to output the GPS data, you just need to connect this module to your PC via the USB type C cable, using any serial tool such as putty, you will be able to get the GPS data. 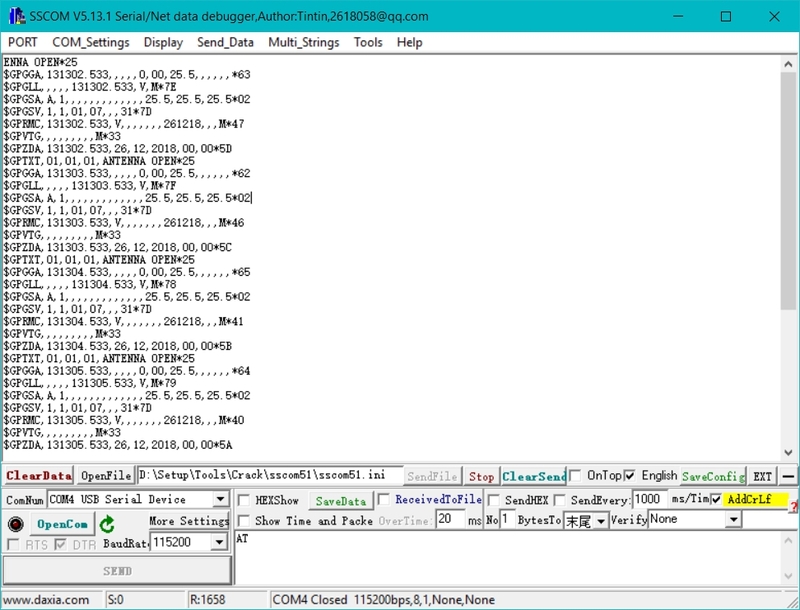 In order to parse the received GPS data, you need to refer to the http://aprs.gids.nl/nmea/. 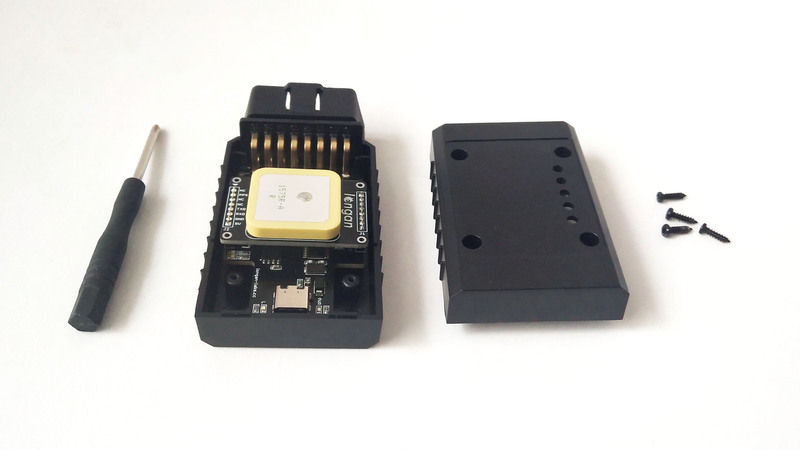 We provide an arduino library for OBD Ⅱ Slaver.